When It Comes To Productivity, Technology Can Hurt And Help : All Tech Considered With more employees working on the road and more distracting technologies in the office, some companies are creating new ways to improve efficiency. One software firm helps identify wasted time, while another makes it easier for co-workers to collaborate. Even when people think they're buckling down, studies show the average office worker wastes over a third of the day. There's Facebook, of course, and the email from a friend with a YouTube link. After all that, is it time to go get coffee? Worker pay is the most expensive line item in the budget for most businesses, which means billions of dollars are going to waste. But here's the silver lining: It turns out lack of productivity presents a big business opportunity. Joe Hruska is pretty blunt about how much work anyone does in a typical day. "You're not getting 8 hours of productivity out of an employee, even though you may have blinders on and that's what you expect," he says. Hruska is founder and CEO of RescueTime, a software firm that allows users to sign up to see where they're spending their computer time. The data he collects shows — at best — a worker is productive about five of those hours. I installed RescueTime on my own computer, and then awaited the results with trepidation. I confessed to Hruska that I'm scared what I'm going to find, and wonder if it's an uncommon feeling. He says, "That is, in fact, the most common reaction that people have." 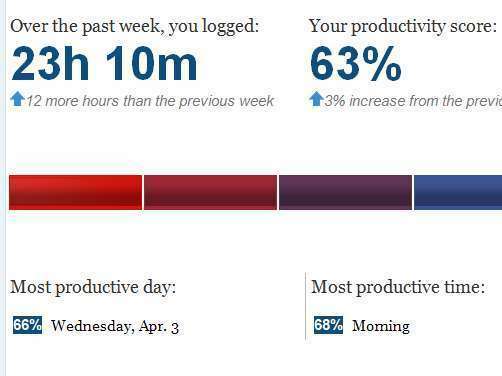 NPR's Yuki Noguchi tried RescueTime to measure her productivity. Here are the results. With good reason, it turns out. My report said on my best day, I was only 68 percent productive. Hruska says mere awareness of where time is spent and wasted improves typical users' productivity by 10 percent. But productivity isn't just about saving wasted time or eliminating distraction. Increasingly, it means adapting to a workforce that's changing demographically. The advance of tablets and Web-based computing makes it possible for more people to work remotely, but that also makes interoffice coordination a greater challenge. Tim Bajarin is a technology analyst who says companies — from IBM and HP to smaller startups — are grappling with how to make the workplace more effective. "The tools to make them successful in their productivity is the No. 1 IT project in any company," Bajarin says. A firm called Jive designed software that simulates social networking sites by allowing co-workers to share notes or post useful information — making it easier to coordinate on the go. Cora Rodenbusch, a manager at PGi, a conferencing company that uses Jive, says the software has cut down on the time it takes to get new employees up to speed. Increasingly, the focus for many firms like hers is on improving collaboration — making information sharing quicker, which moves projects forward faster and keeps people more productive. "Someone just says, 'Hey, where's our nondisclosure agreement?' or, 'Where's the corporate holiday schedule?' or whatever. And someone says, 'Hey, I just looked at it and here's the link,' and they post the link, and you can go off and get your document," Rodenbusch explains. She says that as a teleconferencing company, PGi also thinks about productivity enhancements to its own products — features that automatically share notes or keep meetings from droning on. But is there any way to prevent people who love to hear themselves talk from talking? "Actually, there is. As the meeting host, you have control over lowering peoples' volume and just muting them altogether. Or, if you want to, you can just dismiss them from your meeting," Rodenbusch says. 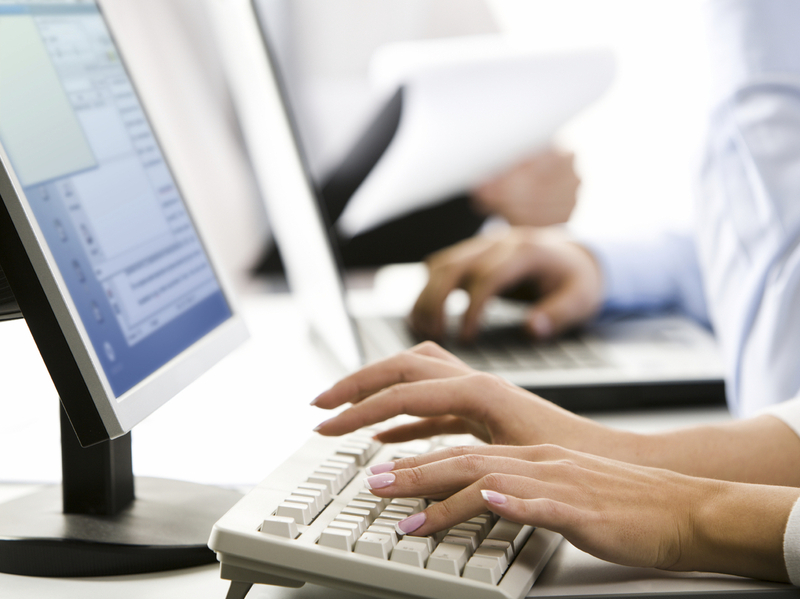 Some employers, who take the heavy-handed approach to getting more out of their workers, monitor or restrict their computer usage, for example. But Teresa Amabile, a Harvard Business School professor, says this kind of punitive approach — constantly pointing out what you're doing wrong — is counterproductive. Her research shows that documenting progress on work, no matter how minor, is by far the most effective tool. "That absolutely dwarfed every other positive thing that happened to people," she says. Amabile likes a service offered by a startup called iDonethis. It prompts users to write down what they accomplished at the end of the day. She says this helps users stay focused on their biggest, most important goals. "And that good inner work life fuels their energy, their motivation and their emotions to make progress the next day," Amabile says. Just staying motivated, she says, is still the best way to get work done.